If there’s any one reason to go on holiday, it will be for the complete exploitation of ice cream and that at no matter what the time of day, it is always acceptable to go and grab a scoop… Or four. Now for most of the year, I’d consider myself to have the relatively annoying habit of opting for the dairy free option. If it isn’t a soya latte, then I would be considerably outraged. Now for the other remainder of the year, I’d be a walking hypocrite, purely because I love cheese, I really do love ice cream so in both cases, the dairy free option can really just go and wander back to the soya farm because it isn’t wanted here. Ignoring the fact that I actually do scream with excitement now at the view of colourful displays of ice cream that come in flavours that just seem so much more enticing as a frozen block of fat; eating ice cream comfortably (ish) again has been a sincerely challenging barrier. At one point, I would have most likely just screamed with fear at the thought of ice cream. Those suffering with eating disorders, typically have their safe foods and comparatively their fear foods which for the most part, remain adamantly as a food tainted with fear, even after recovery. 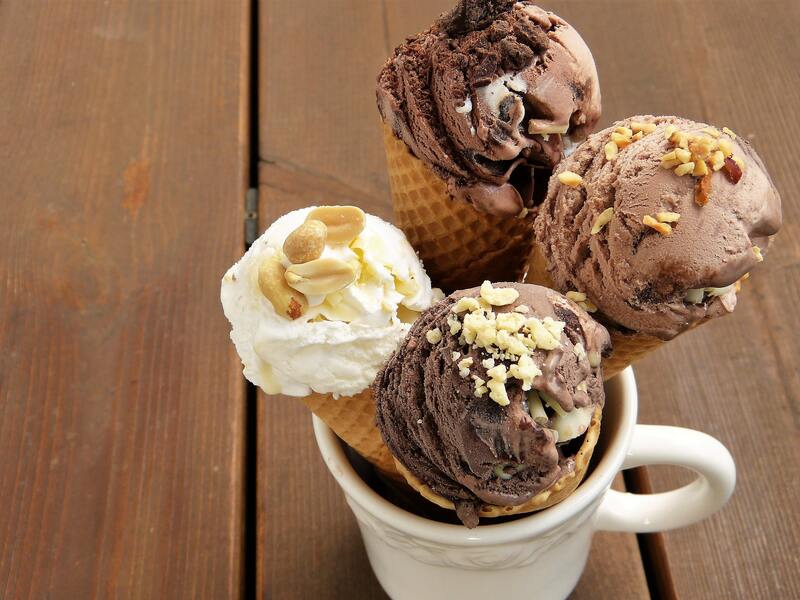 Though not considered as such a ‘fear food’, ice cream is one such food that was incredibly tainted. Why? Because ice cream was my absolute go to during the occasions that I would binge eat and I can tell you now, that the food you eat when binging, literally become the enemy. You’re filled with so much self-hate, disgust and loathe for yourself at your appalling inability to control yourself and thus the poor tub of Ben and Jerry’s ice cream gets a terrible repute… Even the peanut butter flavour. So from once being quite a serious problem, ice cream now appears to have become the answer to my problems. Only very recently on my holiday last week, did my boyfriend need only suggest getting an ice cream for me (think dog’s ears pricking) and the hour misery of being lost walking around an unknown town in the heat with no water, suddenly became lost on me. I can comfortably say that at least my sulking had stopped at that point and suddenly I didn’t mind engaging in conversation with him again. I practically ran to the Gelateria. If you want to know how good that ice cream was, see below.